Arun Jaitley, 65, is undergoing diagnostic tests and doctors have so far indicated that it was a kidney-related ailment, sources said. Sources said doctors from AIIMS are attending to Arun Jaitley at his residence currently. 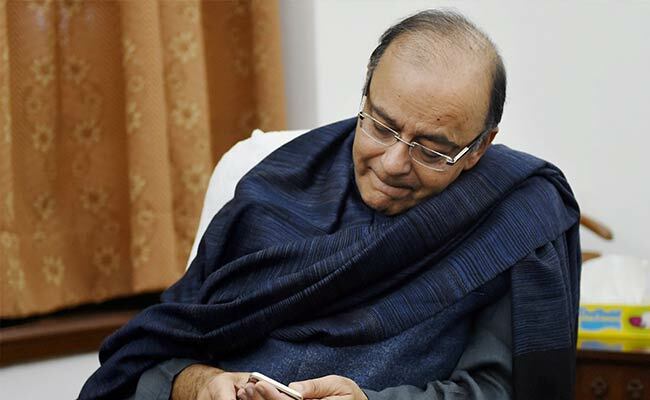 New Delhi: Finance Minister Arun Jaitley is suffering from a kidney ailment may have to undergo a surgery soon, resulting in cancellation of a visit to London next week for annual economic talks, sources close to the minister said. Mr Jaitley, 65, is undergoing diagnostic tests and doctors have so far indicated that it was a kidney-related ailment, they said. The minister, however, has not yet been hospitalised but has been advised to avoid going out in public for fear of infection. He has not been attending office since Monday and even skipped taking oath after being re-elected as Rajya Sabha MP from Uttar Pradesh. As many as 55 out of the 58 newly-elected or re-elected Members of Parliament (MPs) took oath of office since April 3. Jaitley was one of the three members who haven't taken oath. His ill-health has led to cancellation of domestic public appearances as well as foreign visits. While he did not appear at at least two public events in the past one week where he was listed as a speaker, Mr Jaitley's visit to London next week has been cancelled, they said. The minister, who last month skipped a meeting of finance ministers from the group of 20 countries in Argentina, was to attend the 10th UK-India Economic And Financial Dialogue in London next week. He was scheduled to deliver a talk on 'Looking Ahead to 2022: India's Global Vision' at Chatham House, a policy think tank, on April 12. The talk has been cancelled. Sources said doctors from AIIMS are attending to the minister at his residence now. A final call is yet to be taken on whether a kidney transplant is required or not, they said. Depending on doctors advice, he may be admitted to the Cardio-Neuro Tower at the All India Institute of Medical Sciences (AIIMS) here. The centre is housed in a separate building and is equipped with state-of-the-art equipment. Though he has not been attending office since Monday, he is clearing files from his residence, they said. The minister, who suffers from chronic diabetes, had heart surgery several years ago. He is a key member of the Prime Minister Narendra Modi's cabinet and presented his fifth and the present NDA government's final full budget on February 1. The Budget was last month approved by the Lok Sabha without a discussion and it is not listed to be taken up in Rajya Sabha before the current session of Parliament ends tomorrow, thereby not requiring his presence for a reply.